Video: Iphone On The Front, Gameboy On The Back! Home / Computers/technology / Gadgets / Video: Iphone On The Front, Gameboy On The Back! This is probably the best iPhone cover you will get to see online, but only if you are a fan of Gameboy. Introducing the Wanle phone case for iPhone (compatible with iPhone 6 onwards) turns your futuristic smartphone into a slice of retro gaming heaven. 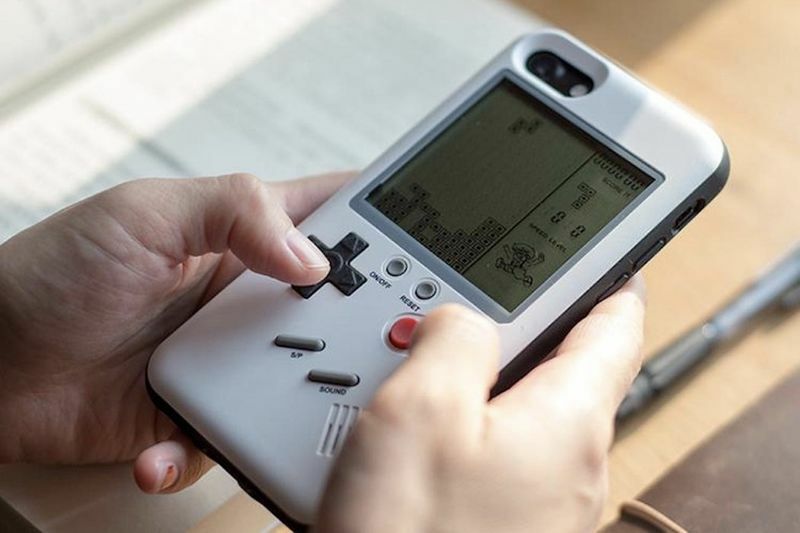 It uses the backside of your iPhone and turns it into a retro Gameboy of sorts, letting you play classic games like Tetris, Tank, F1 Racing, and the one and only Snake. Without inhibiting any of your iPhone’s functions or ports, the Wanle case sits nicely on the back of your smartphone, turning what would be just a plain metal surface into a gamer’s paradise. It uses its own button-cell battery to power the video-game-phone-case at the back, allowing you to simply flip your phone over when you want to game, without draining your iPhone’s battery. The cover case is beautifully designed with a curvature that feels great to the touch and actual 3D buttons that feel like the real thing. The case comes with 10 games built into it and the Wanle phone case is the perfect retro addition to your smartphone! Some people CAN have the best of both worlds!